Nick Kelly’s ‘The Drummer & the Keeper’ has received the Audience Award for best film screened at the 22nd Umbria Film Festival in Italy. The award was picked up by leading actor Dermot Murphy after the film was given a rating of 4.65 out of 5. The screening doubled as the films Italian premiere and festival organisers are now actively looking to secure an Italian distribution deal for the IFTA winning feature. ‘The Drummer & the Keeper’ marks Irish writer/director Nick Kelly’s directorial debut following on from his award winning short film ‘Shoe’, which was long listed for an Academy Award in 2010. The film was produced by Kate McColgan for Calico Pictures with support from the Irish Film Board and shot in a number of locations across Dublin including music venue Whelan’s on Camden Street & Poolbeg Strand. ‘The Drummer & The Keeper’ tells the story of the unlikely friendship formed between two young men; Gabriel, a reckless young drummer who revels in rejecting society’s rules and Christopher, a 17 year old with Asperger’s Syndrome, who yearns to fit in. This heartwarming story, shows the strength of the human bond, in the face of adversity. Nick Kelly’s feature stars a host of young Irish talent including Dermot Murphy (‘Clean Break’), Charlie Kelly (‘The Secret Scripture’), Peter Coonan (‘Love/Hate’), Aoibhinn Mcginnity (‘Moone Boy’, ‘Quirke’, ‘Love/Hate’), Annie Ryan (‘Ferris Bueller's Day Off’), Niamh Algar (‘Without Name’) and introduced Jacob McCarthy, who went on to receive the IFB Rising Star award at the 2018 IFTA Film & Drama Awards. Jacob has also recently featured in Glenn Howerton’s new show ‘A.P.Bio’ for NBC. 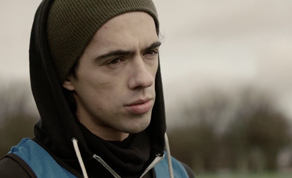 The film was the second film to be fully funded by the IFB (now Screen Ireland) through their Catalyst project, following Lorcan Finnegan’s ‘Without Name’.